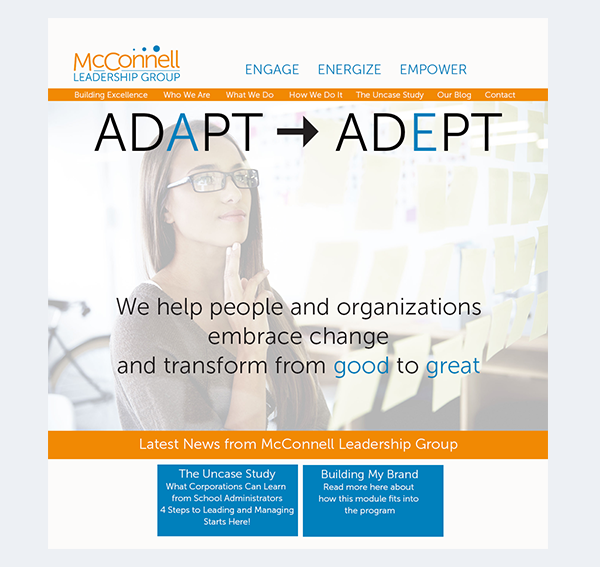 McConnell Leadership Group, a management training firm, needed a logo, a website, and direct mail design services. The logo evokes the feeling of growth which is a main tenet of the program, but also reminds us of the cartoon bubbles that show someone’s unexpressed thoughts. 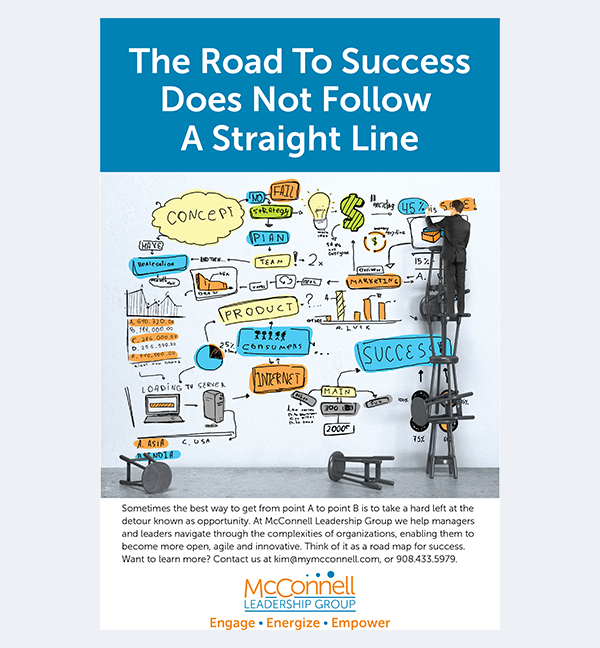 Successful management and leadership training only works when the participants are willing to delve into their thoughts and feelings that are oftentimes left unexpressed. 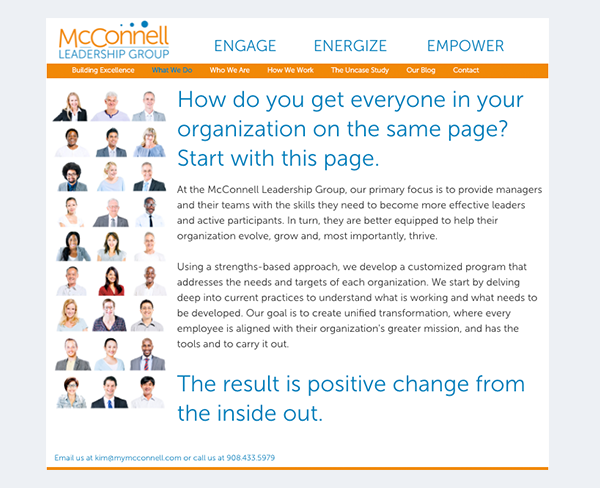 The postcard entices management teams to try McConnell’s programs in order to reach their goals. 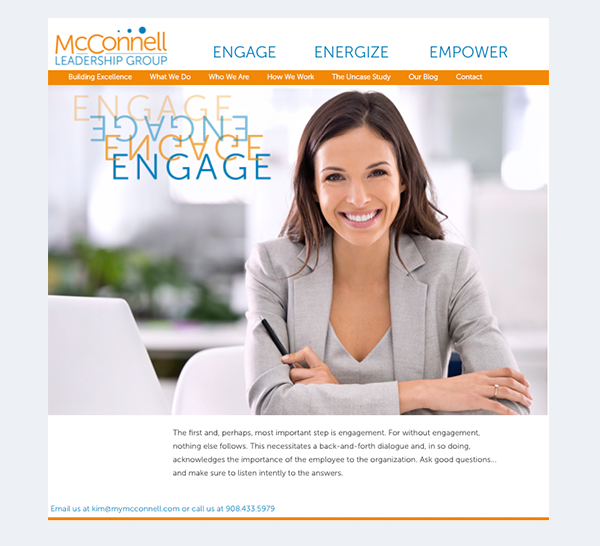 Our marketing focused on this non-traditional training program with several options for developing management skills.